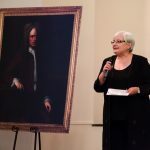 Hilary Simpson presents the portrait of Captain Henry Skillicorne to the town. 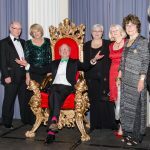 This event was held at Pittville Pump Room on 3 November to celebrate the 300th anniversary of the discovery of Cheltenham’s spa waters and was jointly organised by the Friends and Cheltenham Civic Society. The distinguished guests included the Mayor of Cheltenham, the Lord Lieutenant, the High Sheriff and Alex Chalk MP. 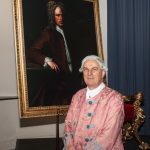 Music and songs from 1716 were performed by the Harpsichord Collective and a dramatic interlude was presented by the Rococo Players. 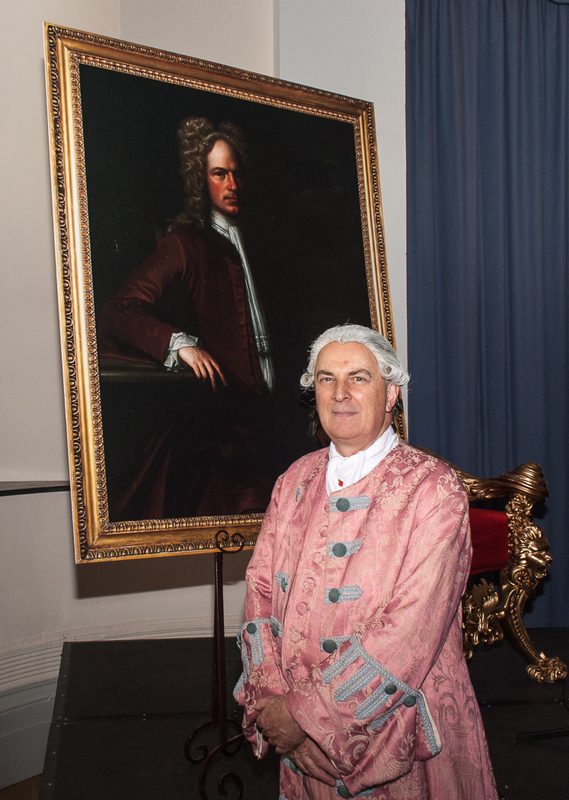 Our Deputy Chair, Adrian Barlow, acted as Master of Ceremonies in full period costume and the evening culminated in the formal presentation of the Henry Skillicorne portrait by our Chair, Hilary Simpson, to the Mayor. The Friends were well represented at the event. To see a slideshow of photos, click here.